When working with our online obedience class, I realized that I didn’t have a video that shows how we teach stand/sit/down from heel. We’ve done it for years, and I think that most people in Scandinavia is familiar with the process, but I found that it’s very new to a lot of people from other parts of the world. So, here’s a video showing part of the process (the part that might seem most weird). It starts with a offered down, so it’s important that the dog can offer behaviors without any help from us. We then start to walk slowly backwards and want the dog to follow and then offer a down. 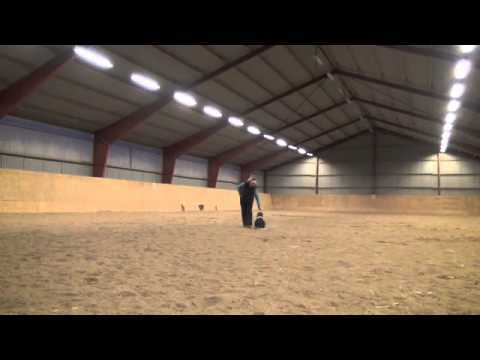 We gradually increase speed until the dog can do a nice backwards heel (which means that we sometimes have to reward the dog for just following to) and offer the down. Experience with dogs: Trained dogs for almost 20 years and competed in obedience, search and rescue, agility, field trials for pointing dogs and spaniels, and herding. Does: Own the company Klickerklok with his wife Fanny Gott. They teach classes IRL as well as online. Thomas and Fanny recently published a book about shaping in Swedish. Dogs: Working cocker Pogue (highest class in search and rescue and obedience, first price in novice field trial for spaniels), GWP Pax (First price in open field trial for pointing dogs in Norway), English setter Pi (Third price in open field trial for pointing dogs in Norway), GWP Paxa (puppy), working cocker Kat (puppy), Border collie Win (3rd in Swedish Nursery Final for herding dogs 2012), Border collie Sarek (Passed herding test), Border collie Jen (First price in novice herding trials). Why do you field train your dogs? I have been hunting birds for 10 years, but it’s not the same without a dog. 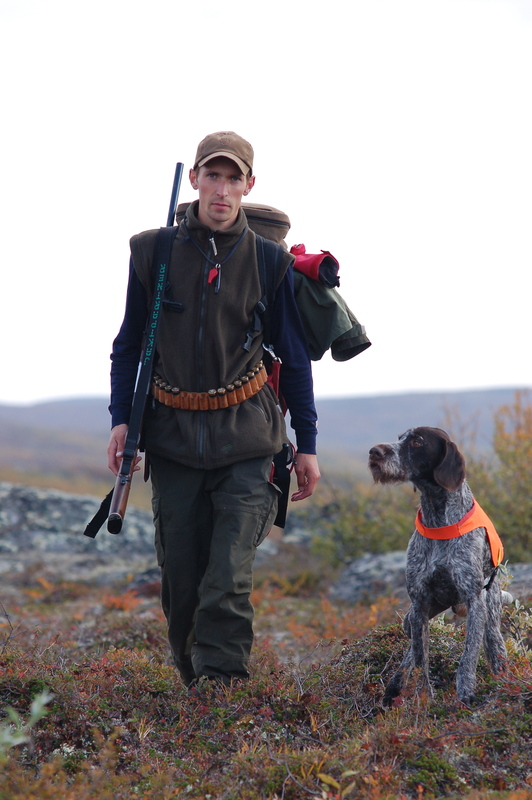 Hunting with a gundog gives a new dimension to the experience of hunting. I started with pointing dogs in Norway and I now I also have cockers. What’s your philosophy in field training? All distractions are potential rewards. Use that to your advantage. Teach your dog that it always pays off to engage in the activity that you invite to – always! I have previously trained dogs with both corrections and luring, but I did find clicker training before I got my first gundog. It was then given that I would keep working with the principles for clicker training in field training too. When I watch gundogs who doesn’t listen (regardless of what method they are trained with), I always see that the cause of all problems are positive reinforcement. 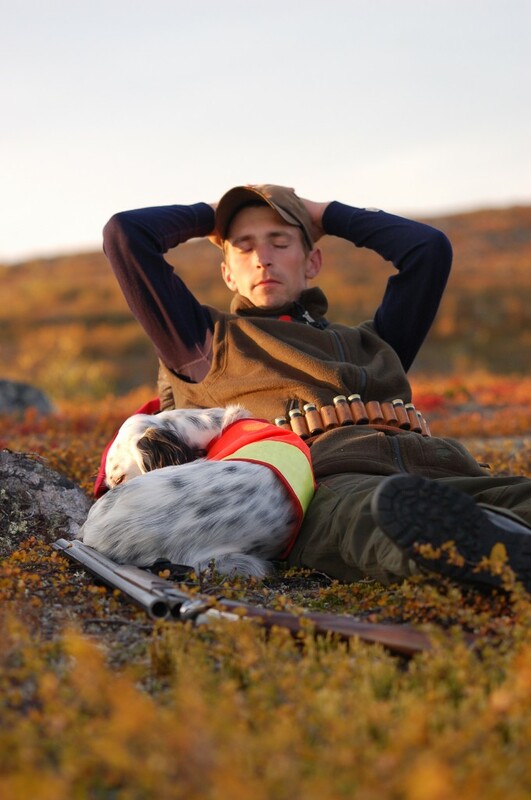 Hunting is such a strong reinforcer that it maintains a lot of unwanted behaviors – it’s so strong that dogs will take incredibly hard corrections without changing for the better. So why not turn it around and use all distractions as rewards. We want our dogs to hunt, flush game and retrieve. They just have to do it when we tell them to. Another important factor is that I want dog training to be enjoyable for myself. If I don’t like what I’m doing to my dog, then I won’t train much, and the dog won’t be very obedient. Any downside with your method? One disadvantage with reward based training is that it’s not very common in many places. You can then feel alone and have problems with other people not understanding you. It might also be harder to find someone who can help you and share ideas with you. My best advice is to keep far away from theoretical discussions. Use your time to train your dog with people who respect your methods during foundation training. When your foundation is solid and your dog is under control, it probably won’t be a problem to train with people who use other methods. You can then learn a lot from experienced hunters. I like to learn new things about dog training all the time, and there are many people that have inspired my training. I’ve found a lot of inspiration in Susan Garrett’s take on reward based training that covers a lot of areas. 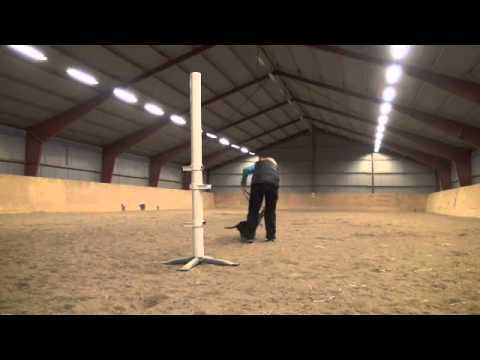 I’m also very inspired by my students, and I have to mention Astrid Ellefsen who made a Norwegian Field Trial Champion out of her Münsterlender (By the way – in Norway the Münsterlenders compete against all pointing breeds like english setters and german pointers. I champion in Norway has to be a great hunting dog!). How do you regulate your dogs level of arousal in your training? By having calmness as a criteria for work, and by variation in the training. Be practical! Exercises are for the obedience field – gundogs are supposed to be functional hunting dogs. Repeating exercises is seldom worth it. Generalize a few simple behaviors and don’t put so much effort into details. If you would chose only one thing to train – what would that be? If I’m going to chose one thing that takes training, it would have to be a stop signal to be able to control the dog. But without the drive to hunt (a really good search for game), you don’t have a hunting dog, only an obedient dog. Even if the dog is well bred it still needs experience with game in different settings to become good. I guess I’m less of a control freak now than I used to be.